Happy First Day of Fall! Celebrate the season with a delicious dessert tonight. 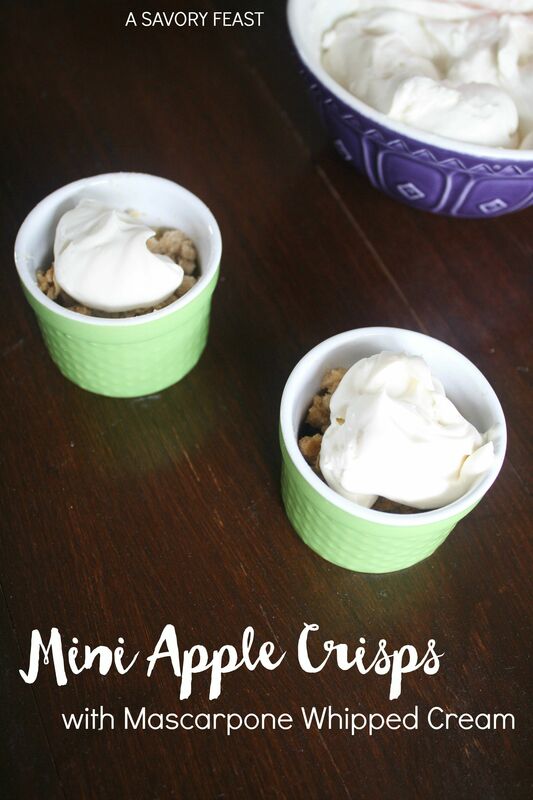 These Mini Apple Crisps are topped with a sweet Mascarpone Whipped Cream. Ahhh, Fall! I’m always so excited for it’s arrival. I live in Florida, so by September I am SO over the hot weather. 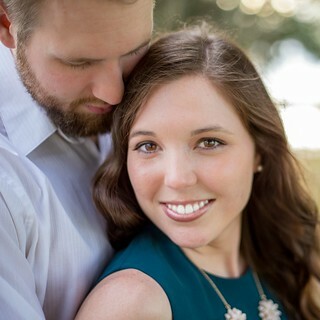 This year I’m especially excited since Fall means our wedding! It’s crazy to think it’s less than 2 months away now. Last year I started this tradition called Fall Welcome Week. 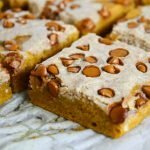 I team up with lots of other bloggers to share all sorts of festive Fall-themed posts throughout the week. I’m so excited to share the recipes I’ve created and see what everyone else shares. 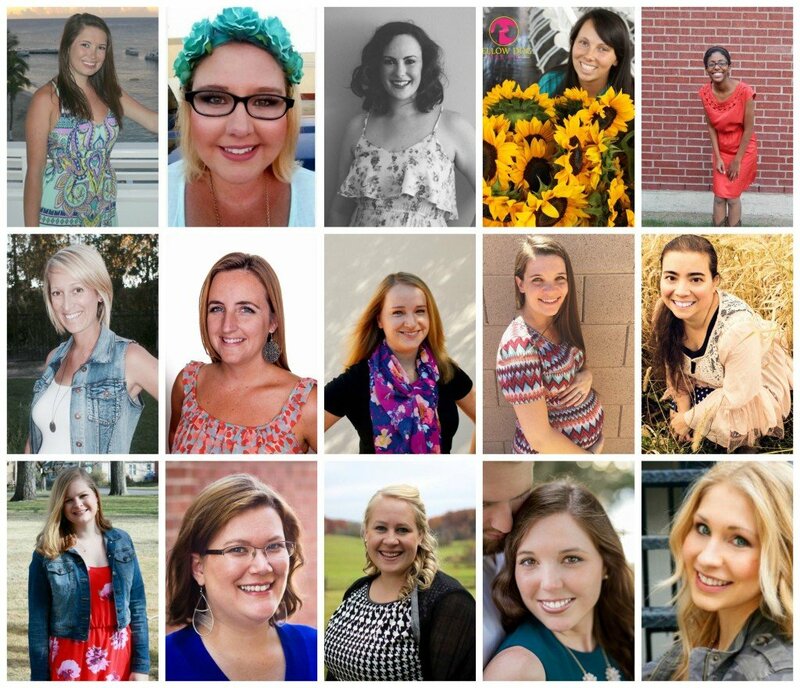 If you are a blogger, feel free to join in and link up your Fall posts at the bottom of this post. Be sure to enter our Fall Welcome Week giveaway, too! All the info is at the bottom of this post. 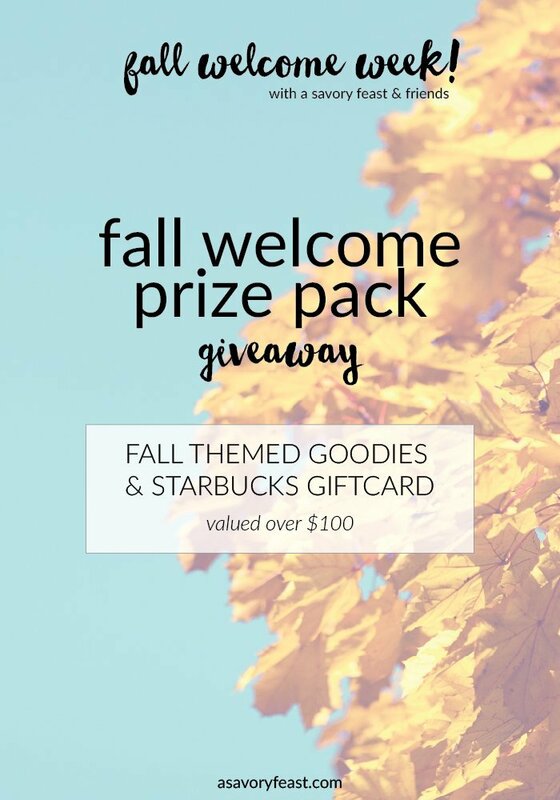 The prize pack includes lots of Fall goodies and a Starbucks gift card. I tend to go a little apple crazy during the Fall. I love all things pumpkin, too, but apples might be my favorite this year. 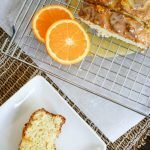 I’ve always loved making (and eating!) apple crisps, so I decided to do a little twist on this classic dessert for my first Fall Welcome Week recipe. This summer I discovered mascarpone cheese. 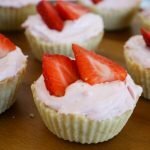 I used it to create my Berry Mascarpone Tart and I have been hooked ever since! 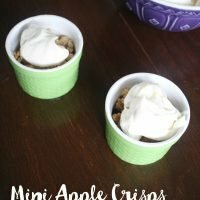 I had a feeling it would go great with apples, so I decided to use it in a whipped cream to top these mini apple crisps. Mini apple crisps are great for entertaining! 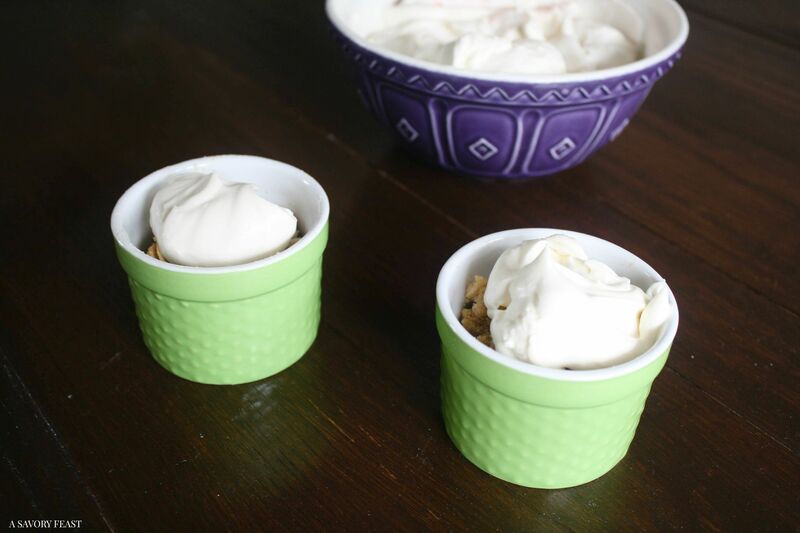 The individual ramekins makes them easy to serve. Top with a generous dollop of mascarpone whipped cream and enjoy! 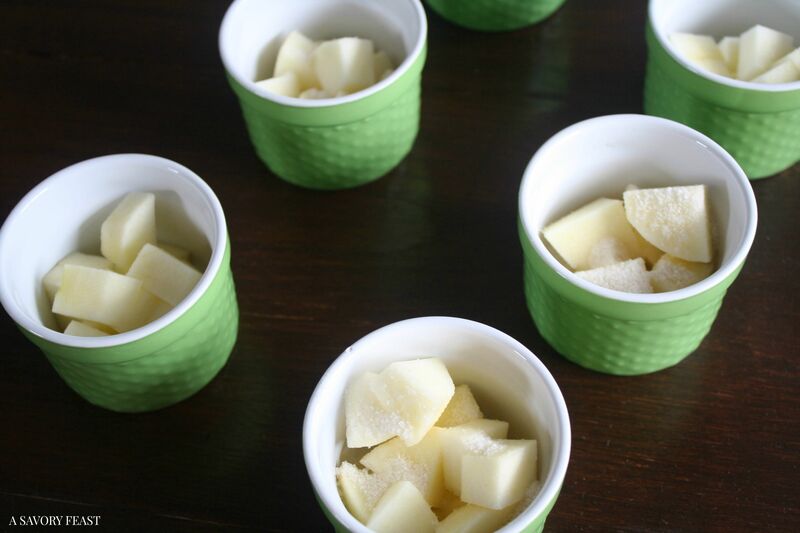 Place the sliced apples in 6 small ramekins. You may need to cut each slice in half if you ramekins are really small. Mix the white sugar, 1 tablespoon flour and ground cinnamon together. Sprinkle over the apples. Pour water evenly over all of the apples. Mix the 1 cup of flour, brown sugar, butter and oats together until crumbly. Sprinkle over the crisps. Bake for 30 minutes or until topping is browned and the filling is bubbling. Set aside and let cool for a bit while you make the mascarpone whipped cream. Pour the heavy cream into a stand mixer with a whisk attachment. Whip cream until soft peaks form. Transfer the whipped cream to another bowl. In the mixing bowl you used for the whipped cream, add the mascarpone cheese, sugar and vanilla. Whisk until smooth and lump free. Fold the whipped cream by hand into the mascarpone cheese mixture. Place it back on the mixer and whisk until combined and lump free. 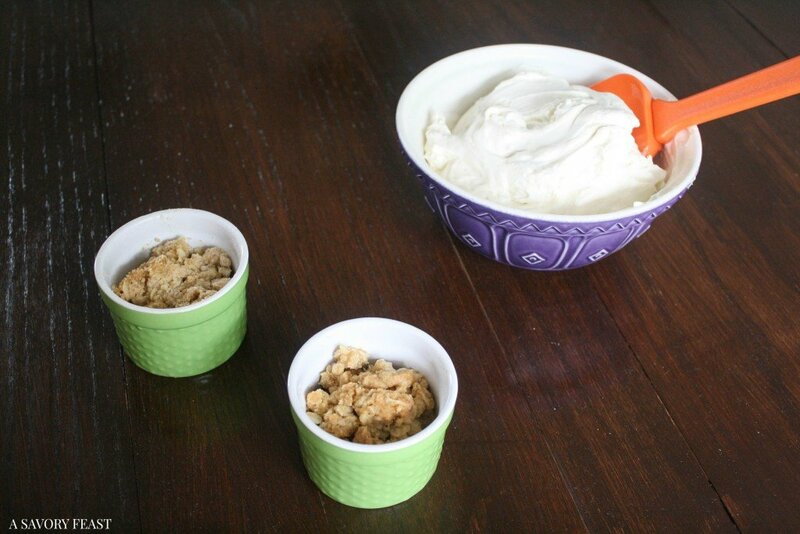 Spoon a generous amount of mascarpone whipped cream onto each of the apple crisps. Follow Jenna @ A Savory Feast’s board It’s Fall, Y’all! on Pinterest. If you shared a Fall-themed post on your blog, link it up here! We are excited to see all of your recipes, DIY projects, fashion ideas, home decor inspiration and more. You will love it! I can’t wait to make it again. Mascarpone cream is just so good. Join us! I’m loving all of the great Fall ideas I’m finding at this link up. Yum, yum, yum! I love those little ramekins. You could serve anything in those and I’d gobble it up. But I have to say, that mascarpone whipped cream makes these crisps seem extra special. Pinning this! 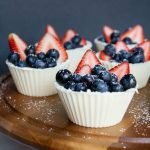 I picked these ramekins out from Wayfair and have found lots of creative ways to use them! Adding mascarpone cream to these crisps was definitely a good idea. Oh my goodness, does this sound super yummy! I’m all for fall things, especially since the season has officially changed, but we’re kind of the same as y’all in Florida here in Texas: We are so over summer. But it has yet to come to an end. Here’s to whipping up fall desserts like this one and pretending the weather is getting a little cooler outdoors! Let’s pretend it’s Fall together! We’ve been getting some rain lately that has brought slightly cooler weather, so I’m hoping Fall is almost here. Yes! Let’s! It rained here today for the first time in FOREVER, so I hope that means cooler temps are on the way!